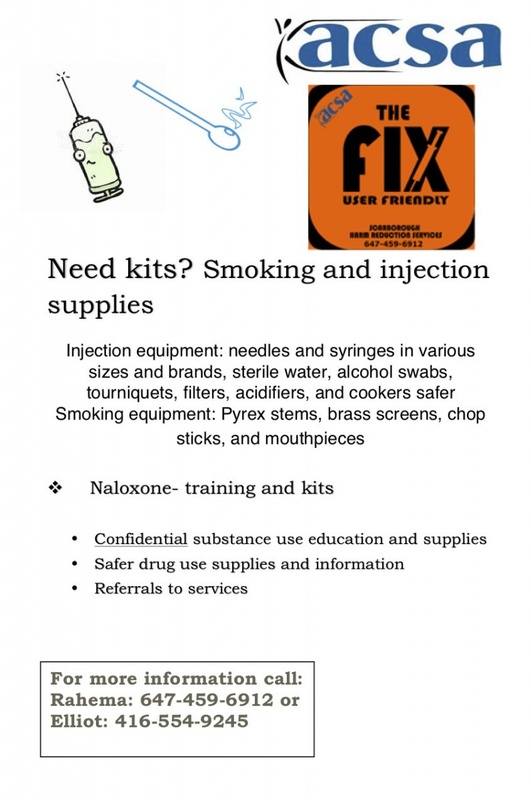 Through this program you can access harm reduction information and supplies including injection and smoking equipment (available on-site or delivery in Scarborough). 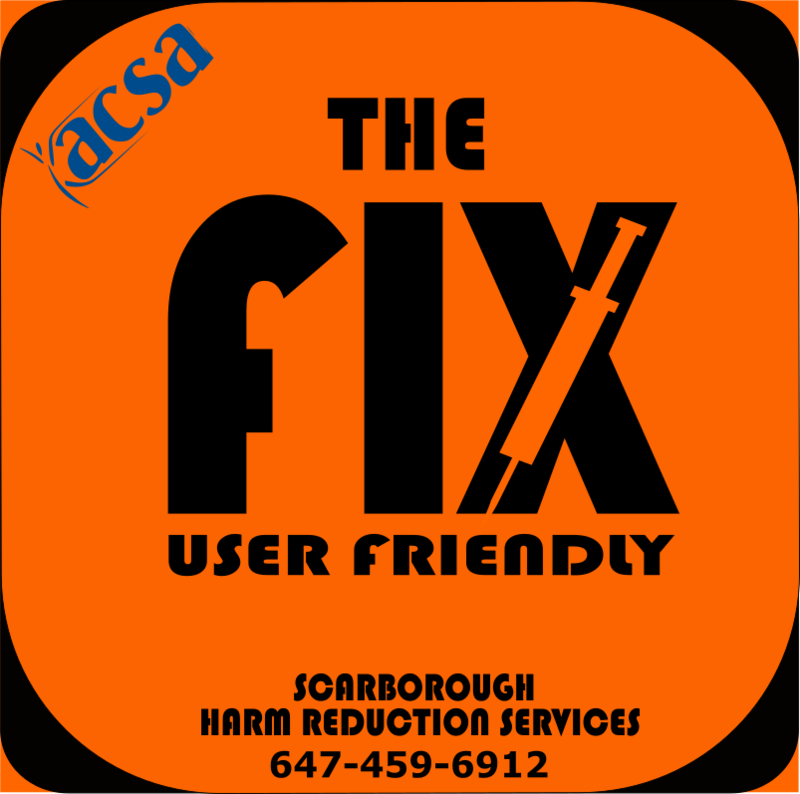 All harm reduction services are confidential. 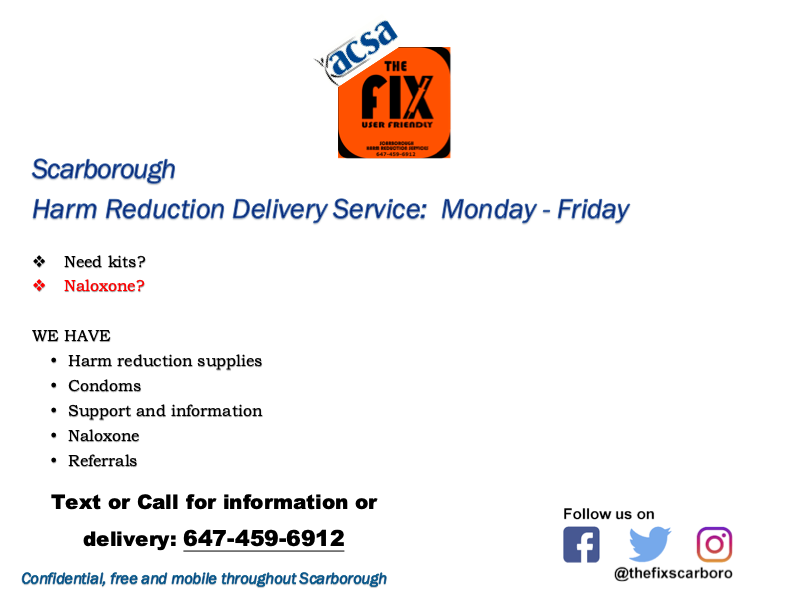 If you are interested in outreach or delivery services, please contact Rahema at 647-459-6912. Do you want to talk about substance use? Do you have concerns about friends and family? We provide brief consultations and service referrals. For more information, please call Rahema at 647-459-6912. Naloxone is a life-saving drug used to reverse an opiate/opioid overdose. 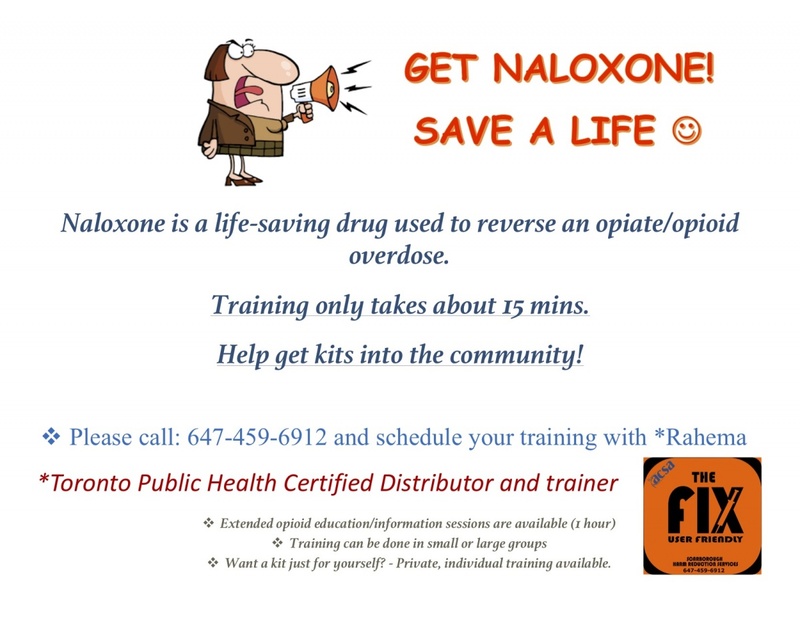 Naloxone kits are available free of charge. Training only takes about 10 minutes. We have kits available- please call to book an appointment on site or in the community.